2. The Pearlitic Cr-Mo Alloy Steel mill liners are widely used for AG mills, SAG mills, large ball mills. 3. The steel liners have higher reliability in AG mills and SAG mills. This product, invented by Mr. Chen Changshun, senior engineer and the director of the company, is known as “China Best Liner”. are self-fastened and strengthened to withstand impact from mill balls. 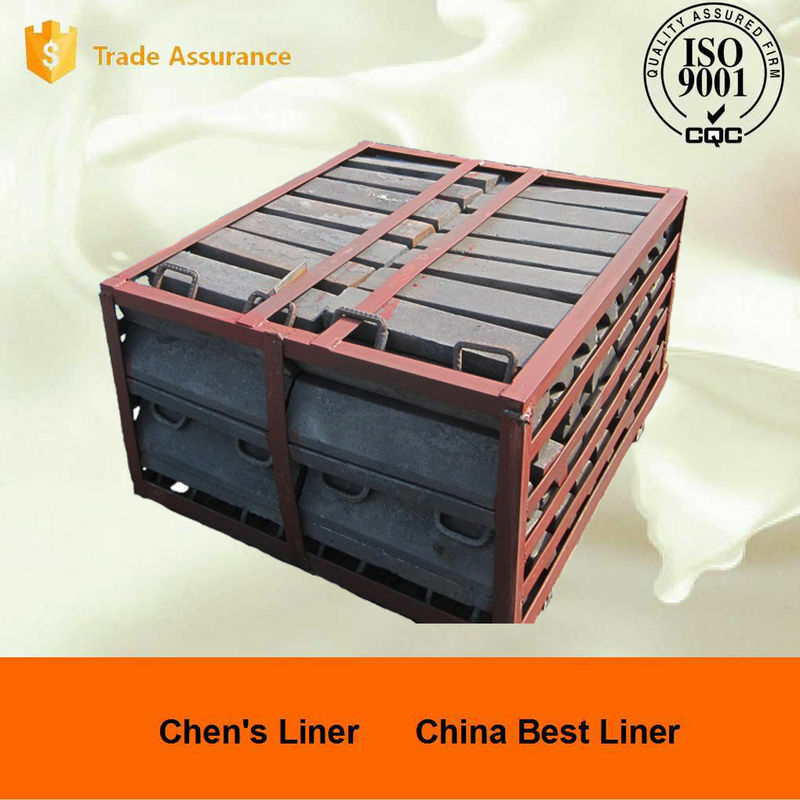 Combined Self-fastened (Boltless) Ball Mill Liners, or called CHINA BEST LINER. 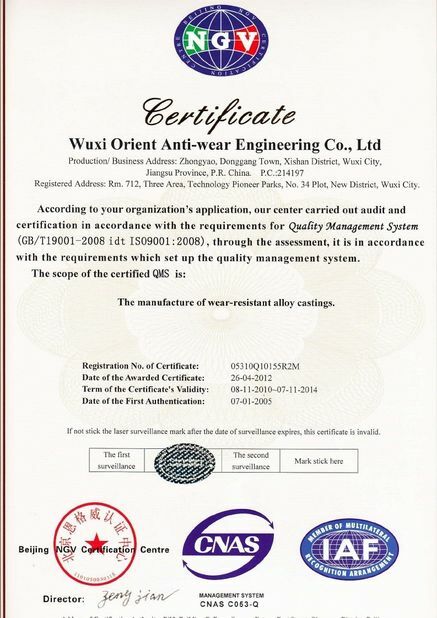 In 2012, we registered a new patent about Liner Technology. In December of 2000, we successfully registered the international patent in Canada. In 1988 and 1997, we claimed domestic patents for ball mill liners . The outstanding advantage of our liners is boltless. The liners are easily installed and existing mills need no modification. of the electric-power industry in China. the teeth plates, armored plates and hammers of crushers and excavator bucket teeth. We can produce pearlitic Cr-Mo steel as per AS2074 Gr. L / 2B. and twice of that of low Chrome alloy steel liners. In addition to our patented Boltless Mill Liners, we can produce liners as per the request of customers. So far, we have been the regular suppliers of mill liners for Magotteaux and Foster Wheeler Power Group. for gyratory crushers,hammers for hammer crushers and concaves and mantles for cone crushers. cast iron or Cr-Mo Alloy Steel. management system ISO 9001:2000. 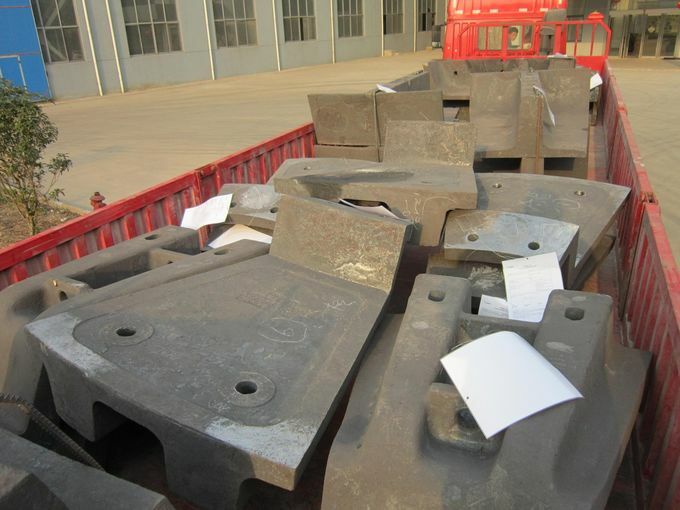 We have been exporting castings to oversea markets, such as Brazil, Australia and South Africa.